Rottweiler Puppies For Sale helps people across the country find rottweiler breeders. Rottweiler breeders can be hard to find if you don’t know where to look and that is why we created this website. If you would like to search for local rottweiler breeders in your state then visit Find Rottweiler Puppies. This page is for paid advertisements only. If you’re a Rottweiler Breeder and you would like to list for FREE then see Find Rottweiler Puppies. 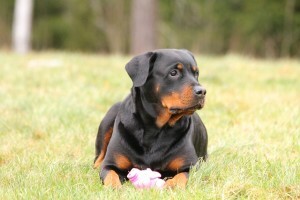 Rottweiler Puppies For Sale will only list up to 20 Rottweiler Breeders at a time on this page. What are the benefits of paying for a Rottweiler Breeder Listing? Listing with us will boost your online exposure and increase your views. We will provide you with quality links to your website and/or social media sites. Linking with a quality Rottweiler Breeder Directory will increase your SEO (Search Engine Optimization) and can potentially increase your sales. How much for the paid ad ??? Our advertising packages can be found on this page. Try to click on Ky but it want let me. Don’t want the paid ad but would list for free. Been a breeder of champions dogs for 30 years now. You can submit a free listing on our Rottweiler Breeder Directory Submission Page.